"DON'T BELIEVE DA SH-T DATS COMING OUT"
(AllHipHop News) Schoolboy Q wants his social media followers to know he was a victim of hacking. The TDE emcee posted a video on Instagram warning people not to believe anything that may be coming out from his accounts. 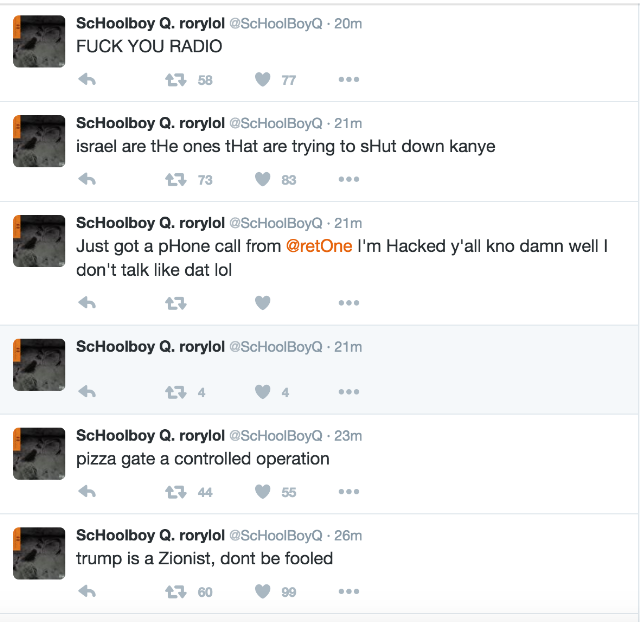 Several tweets connected to Schoolboy featured comments about Kendrick Lamar, J. Cole, Andre 3000, Kanye West, Drake, Donald Trump, and Israel.